EURO 2008 – Switzerland/Austria – footsteps…….. 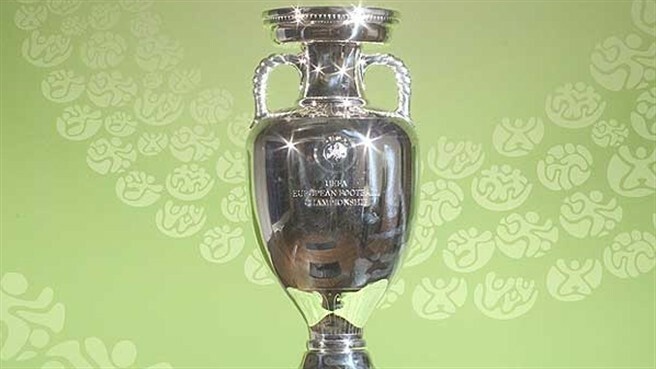 The new UEFA European Championship trophy is 18cm higher and 2kg heavier than the original designed by Arthus Bertrand in 1960 and named after Henri Delaunay, the former president of the French Football Federation. The upper part of the trophy is based on the original and is also made out of sterling silver. The new trophy, created by Asprey London, has retained its historical name. It has been brought up to date to reflect the scale and size of Europe’s most prestigious international tournament. – From eufa website. Read more HERE. Born in Paris on 19 November 1883, Delaunay was chosen in 1906 – at the age of 23 – as general secretary of the newly-founded French Interfederal Committee, which became the French Football Federation in 1919. Delaunay was an undisputed football expert. He was a referee, and began his international career in 1920 when FIFA asked him to sit on its new consultative committee for the Laws of the Game. Read more HERE.